Electric Cars – Should You Buy One? 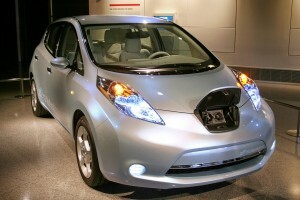 Home » Blog » Electric Cars – Should You Buy One? Once I saw a stand up comedy show where the speaker talked about electric cars. He said,“Electric cars are great, they are environmentally safe, and they save money.” The funny part was at the end he said he was having a gas engine put into his electric car because he wants to go faster. That was about ten years ago, and the things he said about electric cars might have been true then. Considering today’s gas prices and environmental concerns, having an electric car may not be such a bad idea. Electric cars have come a long way today, and the engines are faster, smoother, and more economic now than they ever were before, even if you don’t consider the environmental benefits. We Americans have always gone for faster, bigger and luxurious cars. It wasn’t until recently that Hondas and Nissans started replacing our Cadillacs, Buicks and Olsmobiles. The two biggest companies in the US, Ford and Chevy, have also started making smaller automobiles to stay in the competition with the foreign vehicles. 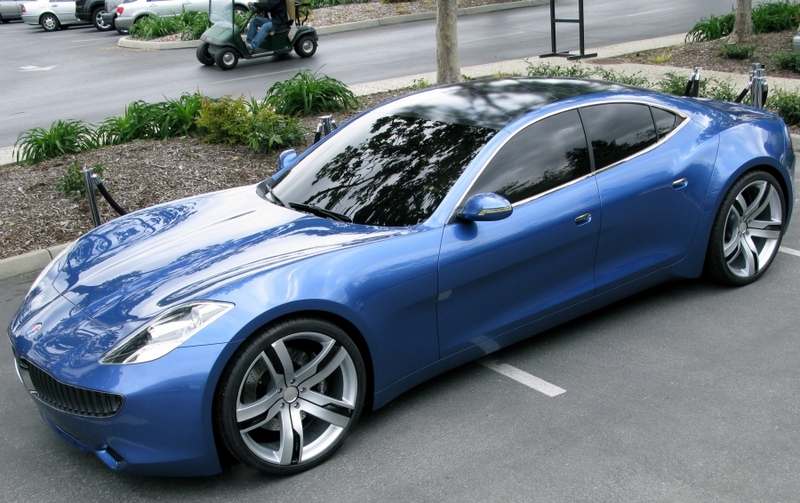 In this article we will look into pros and cons of buying electric cars. Are they really worth a shot or is buying an electric car just a waste of your money. 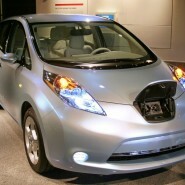 The latest model, fully loaded Nissan LEAF, which is fully electric, goes for about $28,900. With estimated tax credits of $7500, your car would cost in the low 20 thousands. This is still pretty cheap for electrically operated car because with a gas driven car you would be spending another $2,000 to $4,000 every year for gas, and in the car’s lifetime, that would add up to another $40,000 to $80,000, compared to $240-$500 a year for electric bills. Nissan claims that you only need to spend $2.70 to fill up your car with electricity. Leaf will draw just 3.3 Kilowatts per hour. Compared to your washing machine which draws about 4.4 kilowatts an hour, it is still pretty economical. You can make a 100 mile trip with your batteries fully charged. Compared with current gas prices, you would be paying $3.50 per gallon of gasoline, and would be paying over $20 on gas to go similar distance with a regular car. 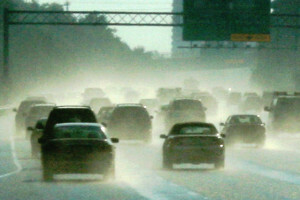 EVs or electric cars do not pollute the air with emissions. Even if you produce electrify with coal to charge your vehicle, it would still have less emission than a gas driven automobile. Anyone who owns an EV knows that the engines are super quiet and smooth. It does not vibrate like gas engines, and has high torque. You will feel the power as soon as you press the accelerator. The latest EVs will go from zero to sixty under ten seconds, and it does even better going zero to forty. The top speed of an EV is 94 miles. You can recharge your vehicle right at home while you sleep; no need to go to a gas station. Unlike gasoline engines, there are no maintenance costs such as oil change. Because these vehicles only have a range of 80 to 100 miles, the biggest fear is to run out of juice when there are no recharging stations around. It also makes it difficult for long road trips where you’d have to recharge the vehicle every two hours or so. With a 3.3 kilowatt recharger, you would get about 10 to 12 miles from an hour of charging. With a 6.6 kilowatt charger you could get 20-24 miles. You would have to charge your vehicle for four to eight hours to get a full range out of it. This would mean you will have to remember to plug your car in as you sleep or as you reach your work. There is only a hand full of EVs in the market today. Most of them are small sedans. Besides the Leaf, there are two other vehicles available in the market, one is the Telsa S Sedan, which is priced at $100,000, and the other is the RAV4 SUV from Toyota, which is priced at $50,000. Once you own an EV, you will have to install a charging station at home that could add to your initial cost. The future of EV is already looking promising. Just like any other technology, thing will get better. If you look at the EVs that are in the market today, you would not feel the same way about them as you felt 10 years ago. They are now realistic and a great solution for rising gas prices and environmental safety. The future for electric cars are looking more bright as companies are already planning to build solar cells right into the roof of the vehicles that would recharge the batteries as you drive. So, if you have to make short trips or live near your work or school, EVs are really a great idea. Thanks for reading our articles. Hope you found it informative. We would appreciate your comments at the end of this article that would inspire us very much. Awesome things here. I’m very happy to peer your article. Thank you so much and I am having a look ahead to touch you. Will you please drop me a e-mail? Yeah, good old Terry Wassler and his ro3er&#82s0;Masketing copy is interesting enough on its own, in the hands of SA’s like her it gets positively radioactive!